Peripheral neuropathy refers to a condition where nerves are damaged and are characterized by numbness, pain, and tingling of the nerves. Neuropathy is caused by a wide variety of factors including illnesses such as diabetes, chemotherapy treatments, certain medications, vitamin deficiency, injury, and infection. Around half of people suffering from neuropathy are actually diabetic. The damaged nerves can cause misfiring messages which transfer pain signals to the brain despite there being no physical reason for pain. Neuropathy has proven a very difficult condition for the medical profession to tackle and with that in mind, many sufferers are looking towards alternative remedies to improve or at least control their symptoms. We have already covered home remedies for neuropathy here as well as taking a look at the effects of essential oils on neuropathy which you can read about in some detail here. 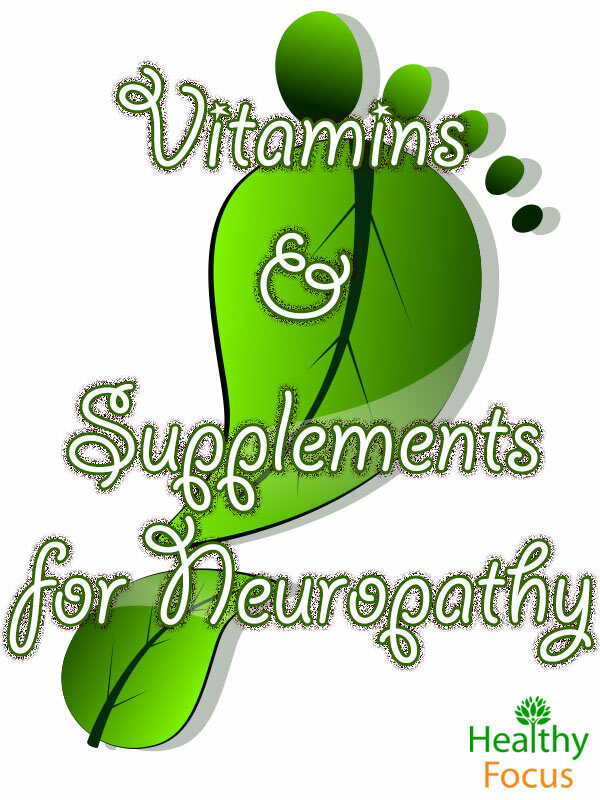 Certain vitamins and supplements may be able to play a significant role in the treatment of diabetic and peripheral neuropathy and this article will examine the evidence to date. Neuropathy is a relatively common complication associated with a number of different medical conditions but can also be caused by trauma and several other factors. Neuropathy may affect the motor nerves, the sensory nerves or the autonomic nerves, the symptoms vary depending on which nerves are affected. Sometimes neuropathy only affects one nerve or a single nerve set. One example is Bell’s Palsy which only affects the facial nerve. Neuropathy is linked strongly to diabetes. Over half of all diabetics will suffer from some kind of neuropathy. Infection, repetitive strain and physical injury are all potential causes of neuropathy. Diet is important. Neuropathy has been linked with a deficiency in vitamin B-12 and other members of the B vitamin family. Neuropathy is a common and painful condition which occurs after damage to the peripheral nerves. The peripheral nervous system runs through the entire body connecting the nerves in the central nervous system with the rest of your body which includes the limbs, face, mouth, skin, muscles and organs. The peripheral nerves are responsible for relaying messages about any physical sensation you experience to the brain. When these nerves are damaged or destroyed, they fail to perform their job effectively which results in the condition we know as neuropathy. As a result, people with the condition may not feel pain when they should or experience feelings of pain when there is no physical reason for it. The symptoms of neuropathy will vary depending on which nerves are affected. The following are some of the most common symptoms..
numbness and tingling which often begins in the toes and fingers but can spread into the limbs. If a person’s autonomic nerves are damaged, they may experience palpitations, heat intolerance, sweating problems, blood pressure issues and dizziness as well as problems with digestion and the bladder. An essential fatty acid known as Alpha lipoic acid (ALA) is a compound produced in the body which is present in all of our cells. ALA plays a vital role in the performance of many of our body’s functions especially with regard to the metabolism of glucose; it is both a powerful antioxidant and helps produce energy from blood sugar. Alpha lipoic acid is already used to treat diabetic neuropathy in Germany and is an approved treatment in that country. The results of clinical trials have been promising so far. One particular trial demonstrated that alpha lipoic acid taken at doses of 600 mg 3 times daily for a 3 week period led to very significant improvements in neuropathic symptoms. The results seem very promising especially with regards to diabetic neuropathy and alpha lipoic supplements are readily available online if you cannot find them locally. The B vitamins are a group of vitamins that play many vital roles in the body including nerve function and generating cellular energy. According to research, a thiamine deficiency can directly lead to neuropathy and there is some evidence that thiamine supplements can help treat the condition, especially diabetic neuropathy. Benfotiamine is a derivative of thiamine which is fat-soluble and more easily absorbed into the digestive system. According to the research so far, benfotiamine modulates the pathways that cause neuropathy. It regulates cellular damage caused by high levels of glucose and prevents vascular problems that also contribute to neuropathy. Vitamin B12 is absolutely crucial to a well-functioning nerve system and a deficiency can lead directly to peripheral neuropathy. Several studies on animals and humans have offered promising results so far. Clinical trials have also demonstrated how significant ViaminsB12 and B6 are in the treatment of neuropathic symptoms. Another study found that a combination of the same B-Vitamins reduced periods of hospitalization and medical costs in those with diabetic neuropathy. This vitamin is especially significant to diabetic neuropathy because research shows that most diabetics have a lack of Vitamin C as a result of their illness rather than diet. Those suffering from diabetic neuropathy have an elevated level of vitamin c which the body has already used known as reduced Vitamin C. This implies that neuropathy places an extra strain on the body’s Vitamin C stores. As a result, it is important for diabetics to get sufficient levels of this vitamin through supplementation or diet. Lower levels of Vitamin E can also be seen in people suffering from diabetic neuropathy. A deficiency in Vitamin D may be a risk factor in peripheral diabetic neuropathy. A deficiency is typically present in those with type 1 and 2 diabetes and is even more common in those suffering neuropathy symptoms. This is an amino acid which is often used to treat a range of illnesses including Alzheimer’s disease, diabetic neuropathy and other forms of neuropathy. Because carnitine is often lacking in those with diabetic neuropathy, there has been some research to evaluate the role of supplementation. Note: People taking blood thinning medications like warfarin should not use Acetyl l-carnitine. the combination increases the effects of warfarin and can increase the risks of bleeding. Supplementing with NAC might help treat the symptoms of neuropathy; it functions as a potent antioxidant as well as increasing the potential of naturally occurring antioxidants in the body like glutathione. According to research, NAC protects the nerves from oxidative stress and damage. Curcumin is a yellow colored pigment extracted from a plant called Curcuma longa. There is a great deal of hoe that curcumin could be used as a supplement for those suffering from neuropathy. Research suggests that the majority of us in the West are deficient in magnesium. It performs many vital functions including clotting the blood and allowing proper muscle and nerve function.. According to research, diabetic neuropathy symptoms are exacerbated by magnesium deficiencies and it is recommended that supplements are used because we do not get enough from our diets. The recommended dose of magnesium is 400 mg taken twice daily. For people suffering with neuropathy, certain lifestyle changes can have a very positive effect. Eating well is very important while getting plenty of exercise can also make a difference. Eat a Healthy Diet : While research into the link between neuropathy and dietary supplements is ongoing, most experts agree that eating a good healthy diet is critical. This is especially true of people suffering from diabetic neuropathy. Diabetics should try to eat a diet rich in essential nutrients while low in calories and fat. Try to eat plenty of fresh fruit and vegetables as well as whole grains and legumes. 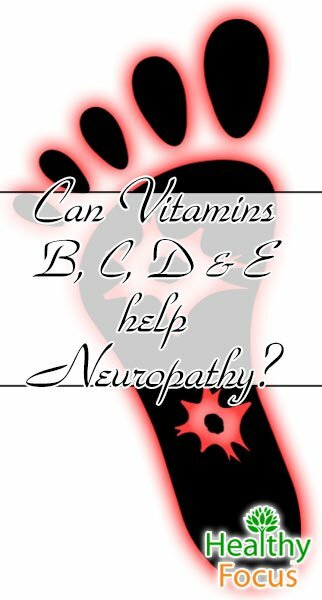 Neuropathy has also been linked to a deficiency in vitamin B-12. Foods rich in B-12 include poultry, lean meaty, fish and eggs. Get Plenty of Exercise : Exercise can play an important role in managing blood sugar levels in people with diabetic neuropathy but it can also help ease the symptoms in of neuropathy in non-diabetics. If you have not done much exercise lately, do not overdo it. Start with some gentle exercises like brisk walking or swimming. Try to get at least 30 minutes of exercise each day.